Dean finds Sam, who has been missing for a week, covered in blood and with no memory of what has happened. Security footage depicts Sam murdering a hunter. Sam tries to force Dean to kill him before he hurts someone else. When Dean refuses, Sam knocks him unconscious and leaves. He then track downs Jo at her job in Duluth, Minnesota, and begins to sadistically play mind games with her, but Dean arrives before he can physically hurt her. Sam again tries to convince Dean to shoot him, but Dean throws holy water on him, revealing a case of demonic possession. Sam shoots Dean and flees to the South Dakota home of fellow hunter Bobby Singer (Jim Beaver). However, Bobby tricks him into drinking holy water, and ties him up under a devil’s trap. After Dean’s wound is treated by Jo, he joins Bobby in an attempt to exorcise the demon. The ritual does not work, and Bobby learns that the demon used a binding ritual to bind itself to Sam’s body. As the demon frees itself and attacks Dean, it reveals that it is the same demon which had formerly resided within Meg Masters, wanting revenge for their exorcising it. Bobby slashes the binding mark on Sam with a hot iron poker, and the demon is forced to flee though it is not sent back to Hell. To prevent further possession by the demon or any others, Bobby gives Sam and Dean charms to protect against possession and warns them to keep quiet about their role in the hunter’s death. This episode opens with Dean talking to Ellen, looking for Sam. Evidently he’s been missing for a few days, and Dean can’t reach him. Then Dean gets a call from Sam – we don’t hear his side of the conversation, but Dean goes to meet him. We see Sam hang up his phone, with bloody knuckles. 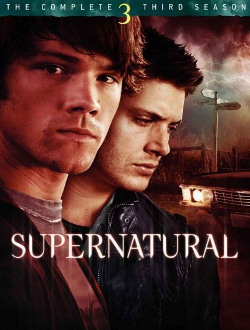 Dean finds Sam in a motel, with blood on his hand and shirt – but it isn’t Sam’s blood. Sam doesn’t know what happened or who’s blood it is. He can’t remember. Dean looks into it and Sam checked in two days ago under name Richard Sambora. The room’s been quiet. Sam can’t remember how he got there or what happened. He’s worried he hurt someone or worse. What if it’s what their father warned Dean about? Dean says to treat it like any other job. What’s the last thing Sam remembers? Not much – being in west Texas with Dean. Dean finds blood on the motel room window. They go outside but Sam doesn’t recognize anything. He says the alleyway feels familiar, so they check out some of the locked garages/storage lockers and Sam finds he has a key for one of them. Inside is a very old VW Beatle. There’s blood on the steering wheel and a bloody knife in backseat. There’s a pack of cigarettes as well. Dean says this couldn’t have been Sam. They find a gas station receipt from a few towns over; they head out to the gas station but nothing is familiar to Sam. The brothers go in and talk to the store clerk, who tells Sam to get out or he’s calling cops. Apparently Sam grabbed a 40 from the fridge the other day and drank it, then threw the bottle at the clerk’s head. Dean tells Sam to go wait in the car. He talks to the clerk alone and asks where Sam went after he took off (and apparently Sam didn’t pay for the booze or cigarettes, which he illegally lit up). Dean can’t believe it was Sam. The clerk says Sam went north, straight out of town. The boys are driving. Dean says the smoking, throwing bottles at people sounds more like Dean than Sam. Sam tells him to turn down a road up ahead – he doesn’t know why or how, he just knows. There’s a house. The security light comes on as they approach. The boys see a security camera. They head up to the door and Dean knocks. Sam points out a broken window and that the alarm has been cut. They go inside and the place is a wreck: broken glass, crooked picture frames, broken furniture; they find a dead body in one of the rooms. Sam says he did it. Dean says they don’t know that. And even if Sam did it, Dean’s sure Sam had a reason: self defence, the guy was a bad guy; etc. Dean can’t find ID on the body but Sam picks the lock on a closet – it looks like the dead guy was a hunter. Did Sam kill a hunter?? Dean notices a security camera in the room. They watch the footage of Sam and the dead guy fighting and watch Sam slit his throat. I was looking for shifter eyes the first time I watched this episode, but they aren’t there. Sam is going throught he dead guy’s stuff and finds letters from his daughter. His name was Steve. Dean wants to erase the footage but Sam is sad and unhelpful. Dean wants to cover their tracks – if he’s a hunter, other hunters will come looking for his killer. Back to the motel, Dean says they should get a couple hours sleep and then get out of there. He wants Sam to snap out of it, say something. Sam says he murdered someone. Dean says it was Sam but it wasn’t. Sam confesses that he’s been having feelings these last few weeks – rage, hate; he can’t stop. It gets worse day by day. He didn’t want to tell Dean and scare him. 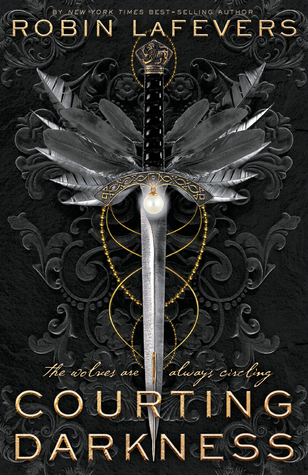 Sam says the yellow-eyed demon has plans for him and has turned other kids into killers; no matter what he does, Sam’s becoming who he’s meant to be. The boys fight over their father’s last words to Dean, to kill Sam if he has to. Dean says they’ll figure this out, there’s got to be a way. Sam says yes there is – and gives Dean a gun. He doesn’t want to hurt anyone else, including Dean. Dean tells Sam he can fight it but Sam says he can’t, not forever. He tells Dean to kill him – yeah right! Can you imagine if this was like the end of the show ro something?? Obviously Dean doesn’t do it. He says he tried so hard to keep Sam safe, and that he can’t kill him. He’d rather die. Dean puts gun down and walks away but then Sam picks up the gun and says Dean will live to regret this. Then Sam knocks Dean out with the gun and leaves! Yikes! Dean comes to with someone pounding on the motel room door. It’s the manager, telling Dean it’s past checkout. There’s a couple waiting for the room. The manager tells Dean the guy with him left in their car before dawn. Dean gives the guy some cash to use the manager’s computer and manages to track the GPS on Sam’s cell phone (which involves a story about a Justin Timberlake concert, haha). It turns out Sam is in Duluth, Minnesota. Sam is at the bar where Jo is working. He approaches her and gets a beer. Jo says Sam is just about the last person she’d expect to see. She asks where Dean is – Sam says he couldn’t make it. Jo asks what Sam’s doing there, saying they didn’t part on the best of terms. He says that’s why he’s there – Jo notices a mark – brand? – on Sam’s arm. He’s talking about squaring things; starts talking about his father: he was obsessed, consumed with hunting, didn’t care who got caught in crossfire. That’s John Winchester, not Sam. Jo asks what about Dean. Sam says Dean is more like their father than Sam is but…then he stops himself. He starts to taunt Jo about carrying a torch for Dean. She doesn’t deny it…Sam says Dean likes her, but not the way Jo wants. Maybe as a little sister. Sam is being mean, on purpose. Obviously Jo is not having it. When Sam tries to hold her hand, and says he cares about her, she knows something’s up. She tries to get him to leave but he grabs her. She tries to fight him off but can’t and he knocks her head against the bar and knocks her out! Do not like! Jo wakes up while Sam is tying her to a post. Some old record is playing. Sam asks what Ellen told her about how her dad died. Jo says he’s not Sam. Sam says don’t be so sure about that. He tells her to answer the question. Their dads were in California together trying to trap a hellspawn of some kind. Jo’s dad was bait – Sam says that’s just like John. Then the thing showed up, John Winchester got eager, jumped out too soon and got Jo’s dad exposed, out in the open. The thing turned around and killed him. At least that’s the story Jo knows. Sam says that’s not quite what happened. The hellspawn hurt her dad but didn’t kill him. He taunts Jo, saying she and Ellen don’t really know the truth. Jo’s dad, Bill, was all clawed up so Sam’s dad killed him. Put him out of his misery. Jo doesn’t believe it. Jo asks why he’s doing this; Sam says like daddy like daughter. Jo’s bait. Then Dean busts in. Sam says his head feels like it’s on fire and he can’t fight it. He tells Dean to kill him or Sam will kill Jo. He begs Dean to kill him. Dean says no. Sam gets mad: What’s wrong with Dean? Is he that scared of being alone that he’d let Jo die? Dean throws holy water on Sam – he’s possessed by a demon!! Phew!! But then he runs off. Dean frees Jo and heads out after him. Dean asks ‘Sam’ who he is. He confirms that he’s been possessing Sam since he disappeared. Dean asks why the demon didn’t kill him (Dean). It had plenty of chances. Sam-demon says it would have been too easy. This was a test. Could he push Dean far enough to waste Sam? He should have known he couldn’t do it. The demon wants to kill Dean and every other hunter he can find. Dean follows ‘Sam’ out to the docks and suddenly Sam-demon appears, takes aim, and shoots. Dean falls into the water! But where did he go? Jo is walking around trying to find them, calling Dean but only getting voice mail. She hears his phone ringing as she approaches the water and finds Dean’s body, passed out at the edge. They don’t know where Sam-demon is. Jo is removing the bullet – Dean was shot! – and stitching him up. She asks Dean how he knew Sam was possessed. Dean didn’t know for sure that he was possessed, but he knew it couldn’t have been Sam. Jo knows demons lie but she asks Dean if they ever tell the truth. Dean says sometimes, especially if they know it will mess with your head. Jo doesn’t elaborate. 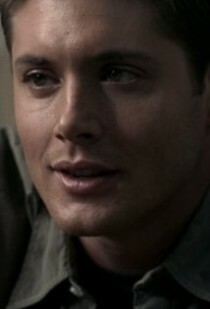 Dean says so far Sam-demon’s been going after the nearest hunters. Jo wants to go but Dean says no. This is his fight; he’s not getting Jo’s blood on his hands. Jo gives him some painkillers. Dean keeps trying to reach Sam but no luck. It seems like Sam has another hunter in his sights – Bobby!!! Oh no! Bobby asks where Dean is.Sams says he came in to say hi to Bobby and Dean’s off with a girl and a twelve pack. Bobby comes out of the kitchen with beer. Sam takes a sip but there’s holy water in it! It burns!! Bobby is too damn smart to fall for this. “Don’t try to con a con man”. Bobby ties Sam up to a chair and when he comes to, Dean is there as well. Sam-demon is under a devil’s trap. Sam-demon is snarky! Dean throws holy water on him. Bobby begins the exorcism. Dean says whatever plan the demons have, they’re not getting Sam. Sam-demon laughs, telling them that he doesn’t care about a master plan. Sam-demon chants some Latin and Bobby finds the seal on Sam’s body. It turns out to be a binding link, like a lock. The demon has locked himself inside Sam’s body. The demon’s chant cracks the ceiling, breaking the devil’s trap, and he throws Dean and Bobby across the room and breaks free from the chair. He goes to Dean and taunts him and punches him. He says hell is like a prison, like hell, even for demons. It turns out that this is the same demon that was in Meg. The demon says he saw John Winchester there. All this demon had to hold on to was that it was going to climb out one day and torture Dean. But the demon says that whatever it does to Dean, it’s nothing compared to what he does to himself. The demon taunts him for not being able to save his dad and says that he can’t save Sam. Thankfully Bobby pops up and burns the skin where the brand is, expelling the demon from Sam. Bobby saves the day!! Sam is Sam! He doesn’t seem to remember anything. The boys are still at Bobby’s and he asks if they’ve ever heard of a hunter named Steve Wandell. Bobby’s just heard that Steve was murdered in his own house. Dean says he’s never heard of the guy. Bobby says keep it that way. His buddies are looking for someone to string up and won’t slow down to listen to reason. I’m glad that Bobby’s always got their backs. They take charms from Bobby to fend off possession. He says the charms should stop a demon from possessing them again, and the bros head out. Bobby looks concerned. Back on the road, Dean asks Sam if he’s okay. Sam doesn’t answer at first. Then he says he was awake for some of it. He watched himself kill Steve, saw the light go out of his eyes. Dean says it must have been awful. Sam’s point is that he almost killed Jo. No matter what he did, Dean wouldn’t shoot. Dean says it wasn’t Sam. Sam says it wasn’t him this time- what about next time? Dean says their father told him that Dean had to kill Sam – only if he couldn’t save him. Dean is committed to saving Sam – there’s no way he’ll kill him. This was a really good episode that told us more about John Winchester’s past with Jo’s dad. And Sam has first-hand experience of what demonic possession is like. We get to hear a lot about Sam’s concerns for whatever plans Azazel (yellow-eyed demon) has for him, and that he wants Dean to kill him if he goes bad. Dean says there’s no way he’ll do that. One of my most memorable episodes; always love the Ellen-Jo episodes. Great rewatch, Kimmy. Thanks!